Warm aromatic scent of leaves used in Japanese cookery. 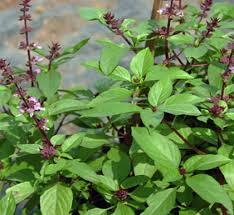 Cultivate like Basil. 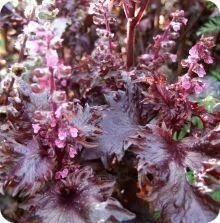 Beautiful dark red leaves with frilly edges. Can be used as a bedding plant! Annual.